Learn to create marketing content, use social media to amplify your message, make content discoverable in search, run Adwords campaigns and advertise on Facebook. Additionally, learn how display and video ads work and how to market with email, and measure and optimize with Google Analytics – Digital Marketing Nanodegree v3. 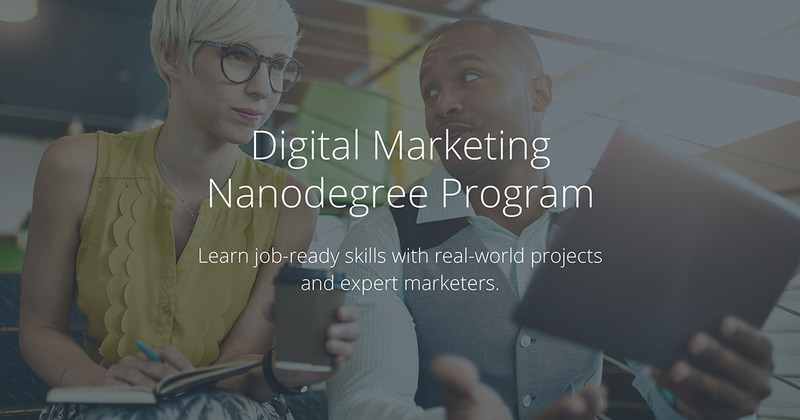 Digital Marketing Nanodegree v3 – Our expert content partners represent the entire digital marketing ecosystem, and this program instills a 360-degree understanding of the field.